Using a unique behavioral scoring system, every ingredient, brand, and claim receives a “Clean Label Score” for moments of anticipated use within consumer products categories. The Clean Label Score is based on implicit behavioral science techniques to gauge avoidance or acceptance of ingredients, brands and/or claims from either a emotional or rational reaction. By uncovering sensory cues that signal “approach” or “avoid” through emotions such as fear, hope or desire, you avoid the inaccuracy of direct Q&A responses and yield more accurate predictors of behavior. Clean Label Scoring helps you determine solutions to challenges such as what ingredients to display, what claims will result in the greatest resonance with your target, what contexts of use are associated with brand choice among various segments, and more. 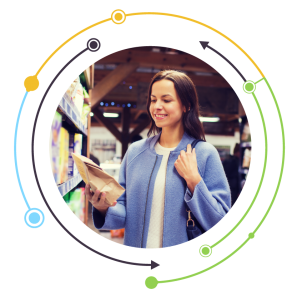 Reach out and we will set up a time to walk you through the new, innovative Clean Label Scoring system so you can see first-hand how to gain deeper insights into your consumers' behavior. Ready to access deeper insights? Drop us a line today to set-up a walk-through of the new behavioral metrics and approaches uncovering insights through this powerful community.